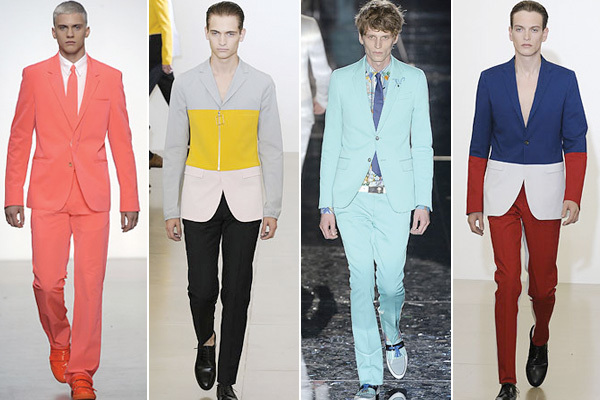 Kicking off the spring/summer 2009 fashion show season, menswear designers showed collections at Milan, which oscillated between whimsy, formality, Adonis bodies, and lots of skin (it's about time considering the 90 degree norms these days). Trousers are once again acceptable, in any variation besides skinny, and pajamas are the new track suit (only if expertly tailored and paired with chest-broadening jackets—of course). It used to be that waistlines and neck measurements shrunk in times of economic woe.